3. 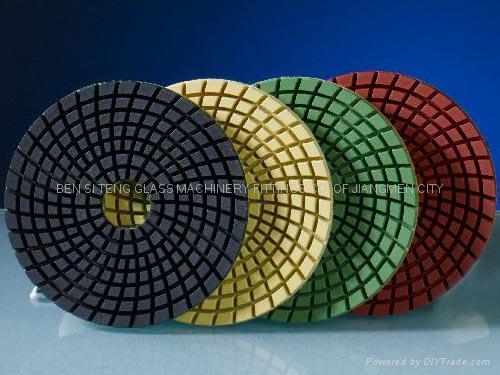 Application: They will be used to polishing marble and granite. It is particularly effective on polish hard black and green marbles. They also can polish all the engineered stones including zodiac, silestone, caesarstone. 4. Feature: Used for dry and wet polishing, and they are very flexible and long lasting.